Victoria Symphony Splash is an annual Victoria Symphony event that takes place on a floating stage moored in Victoria Inner Harbour across from the Empress Hotel and the Parliment Buildings. It includes musical entertainment, food and souvenirs. This year comes of age with a nautical theme tonight at 7:30pm (August 1, 2010). Now one of the largest annual symphony events in North America, known to attract 40,000 people and over 400 volunteers to help bring this event to the community. You can come by boat...small craft owners (kayakers, canoeists) can moor their craft near the barge to listen to the music from the water. The Harbour Master will let you know if your watercraft is too close to the barge and the Splash concludes at approximately 10:00pm. 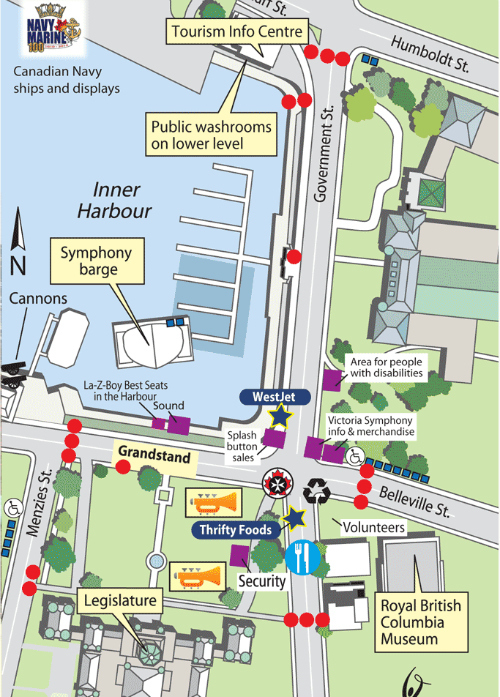 This year Victoria Symphony Splash salutes the navy, during their centennial year, with a nautical themed program. The concert concludes with a performance of Tchaikovsky's 1812 Overture, complete with bells, cannons, and fireworks. A navy's Naden Band concert starts at 4pm warming up the Inner Harbour for the symphony. 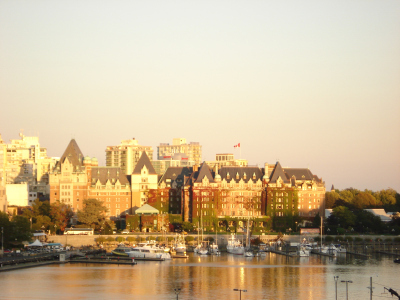 At 7:30pm the Victoria Symphoney will open with O Canada and Canadian composer Maxime Goulet's Citius, Altius, Fortius before diving into a nautical program with the Royal Navy's offical march, Heart of Oak. Sixteen-year-old pianist Grace Ma takes the lead in Addinsell's Warsaw Concerto, while Phillip Manning, an Eighteen-year-old violinist from Metchosin, will have the solo in Violin Conerto No. 1, 2nd Movement by Max Bruch. Wishing you all a fabulous fun filled day, enjoy the Victoria Symphony Splash and Happy BC Day! If there is anything I can help you with regarding real estate in Victoria BC please call me direct at 250.744.4550, follow Brenda on Twitter at http://twitter.com/brussell6 or send an email; brenda@brendarussell.ca - Licensed Victoria REALTOR® since 1990. This year Brenda was presented with the LIFETIME AWARD OF EXCELLENCE Award. 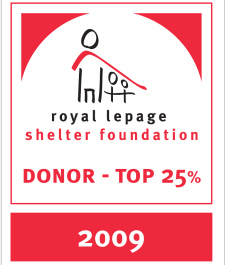 An achievement given when in the top 6th to 10th (or higher) percentile of Royal LePage REALTORS® ten out of fourteen years consecutively.